New plans to ramp up the largest wave of forced displacement in Palestine since 1967 are currently underway. The Nahala Movement, campaigning on an end to the two-state solution through a rapid settlement of all West Bank territory, joined the rightist factions in modeling a settlement vision pushed by former Prime Minister Yitzhak Shamir, also an early member of the Lehi paramilitary organization. The plan, upheld by New Right and Likud members, seeks to annex 61 percent of West Bank territory, threatening 297,000 Palestinians by the settlements. In comparison, the 1967 mass exodus saw the displacement of between 280,000 and 325,000 Palestinians from their homes and lands. The main proponents of the plan include former Jewish Home and now New Right members Naftali Bennett, the current Education Minister of the Zionist entity who recently accused Donald Trump of planning a “Palestinian state over our heads,” and Justice Minister Ayelet Shaked. While mobilization of the most recent settlement project went into full force this week, it followed a trajectory that took root far before early February. Last October, Shaked said that she was for the total annexation of Area C, additionally recommending that ‘Israel’ nationalize the Palestinians living there as Israeli citizens in the process. The right-wing faction estimated that “only 80,000” Palestinians living there would need citizenship. In a January 2018 Knesset debate, Shaked vowed that Israel would remain in the occupied West Bank “for 5,000 years” in support of annexing the West Bank. Area C, under complete IOF control, faces tight restrictions on issuing Israeli approved building permits. As a result, Palestinian homes and buildings face routine demolitions and Palestinians systematically suffer from forced evictions and homelessness. According to the UN Office for the Coordination of Humanitarian Affairs in the West Bank, 73 Palestinian structures have been demolished and 119 Palestinians have been displaced in just the first two months of 2019 alone. In the last two weeks of February, Israel demolished 26 of the total 73 Palestinian-owned structures, including seven structures, in occupied East Jerusalem. Around 45 people were displaced by the mid-to-late February wave of demolitions. According to Palestinian sources, Israel also destroyed parts of three donor supplied water connections, jeopardizing drinking water source of of 18,000 Palestinians in Area C.
The rapid demolitions are part of a renewed effort to spur a new wave of forced displacement of Palestinians. According to Hadash MK and Professor Yousef Jabareen, the settlement plan would be followed by the construction of a new Arab ghetto in Galilee. 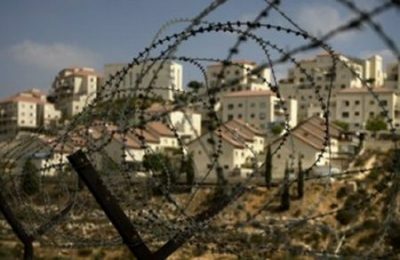 Disclosing the plans to Arabic-language radio station “Al-Shams,” or the Sun, Jabareen said that the ghetto will be built on an area of ​​3 thousand acres, constructing about 15,500 housing units for about 72 thousand people, displaced from places in northern ‘Israel’ and possibly from the West Bank. “The plan did not take into account the situation of the Arab population and their needs, and there is a period of 60 days to appeal the plan,” Professor Jabareen told Al-Shams. The documents Jabareen referenced also plan for the occupation of over 260,000 acres of land in the Al-Naqab region and displacement of at least 26,000 Palestinians from towns and villages in area as well. With less than six weeks left to the next Knesset elections, the new right-wing coalitions are attempting to consolidate their decision-making powers and expound upon illegal settlement expansions. The recent indictments of Prime Minister Benjamin Netanyahu for bribery and fraud have posed a challenge to the current right wing administration and allied factions in forming a coalition. A recent poll published on Israeli media showed a first-time reversal for the right block, with 59 seats as opposed to the center-left’s 61. Fast tracking aggressive settlement expansion comes at the presence of the instability of the current administration. In hopes of appealing the US and fearing resistance, Netanyahu had previously blocked the advancement of a number of bills aimed at annexing Ma’aleh Adumim and other Jerusalem-area settlements in January 2018, which would bring them under jurisdiction of the Zionist-held city.